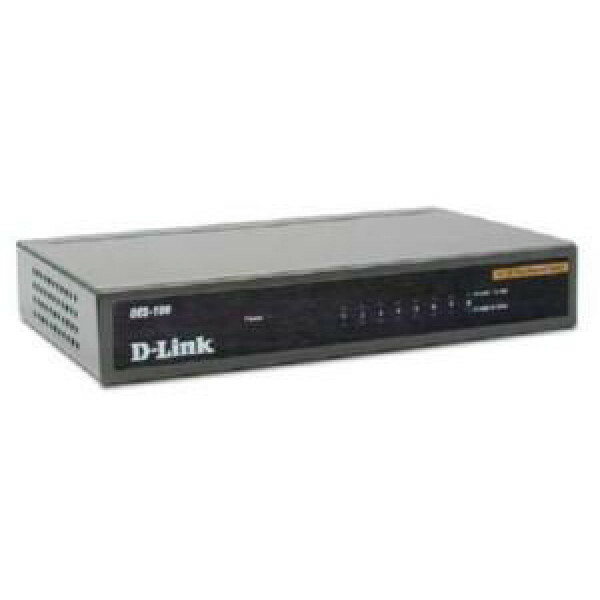 Featuring easy access auto sensing 10/100 front Ethernet ports with two color LED indicators per port to quickly distinguish link, speed, and half/full duplex transmission status. The DES-108 switch also supports Auto MDI/MDIX Crossover allowing each port can be plugged directly to a server, hub, router, or switch using regular straight-through twisted-pair Ethernet cables. Support for IEEE 802.1p QoS is included, which organizes and prioritizes time-sensitive and important data for efficient delivery.